I'm so excited to be back on the blog again sharing with you another fantastic illustration project I worked on. 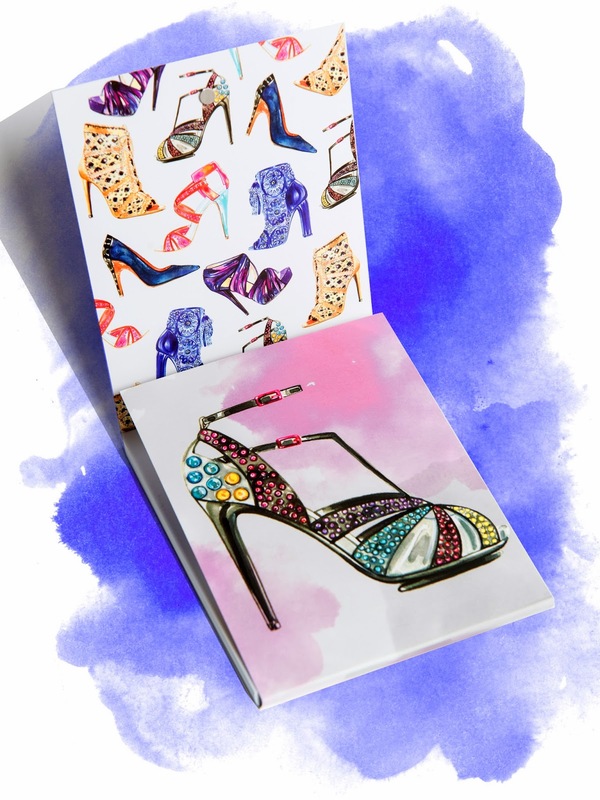 Marie Claire Magazine approached me to illustrate a series of shoe designs and pattern for a stylish, little giftable, notebook they were producing. 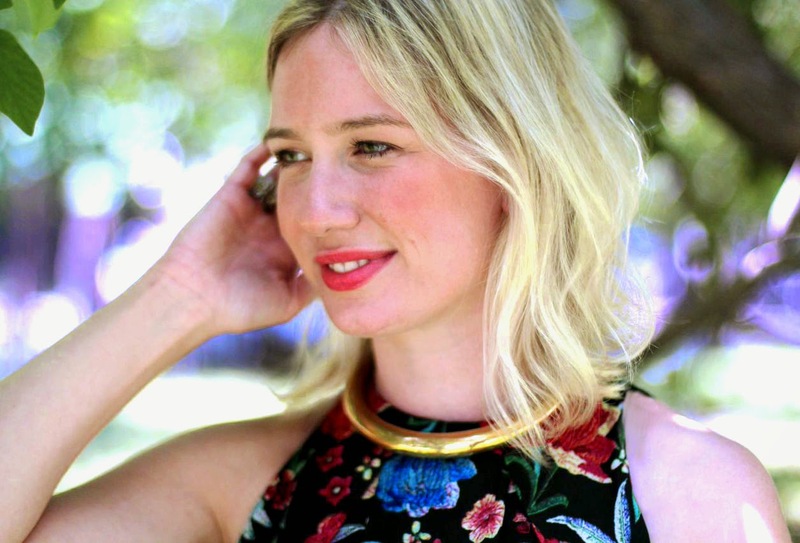 It was one of those 'pinch-me' moments where I realized I was actually living my dream. When I came to New York to pursue my Fashion Illustration AAS at the Fashion Institute of Technology back in 2009, I told our Chair of Illustration that all I really wanted to do was illustrate shoes...and finally I was. 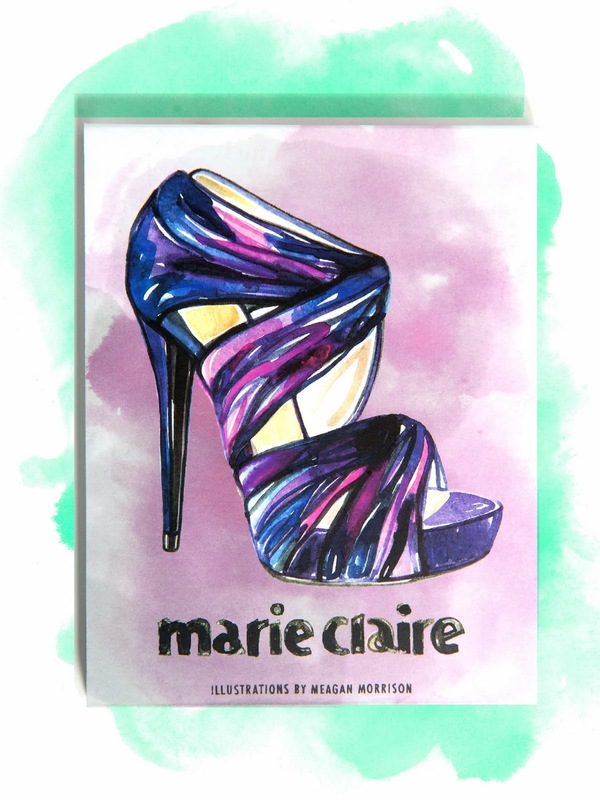 In the end, my illustrations were used on the Marie Claire Shoes First notebook, tote, and invitation for their event with Saks Fifth Avenue. Fortunately I was able to attend the event and snagged some awesome instagram shots holding all my illustrated swag. It didn't take long to see my tote bag hitting the streets either!! I happened to catch a very chic New Yorker toting her tote on the 1 train to work and perhaps that was the greatest moment of all. I've always wanted to see people living with my illustrations in a functional, multipurpose way, and I finally have. Cheers to pursuing your dreams and making them happen in the baddest city of all: NYC!! 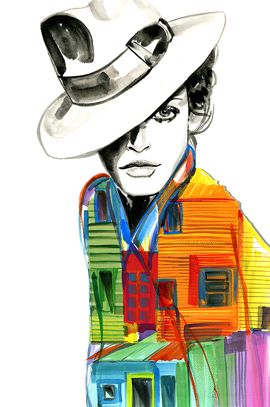 Love these shoe illustrations; your use of color is awesome! wow love it! I used to draw/design shoes... but it looked nothing like this!! !